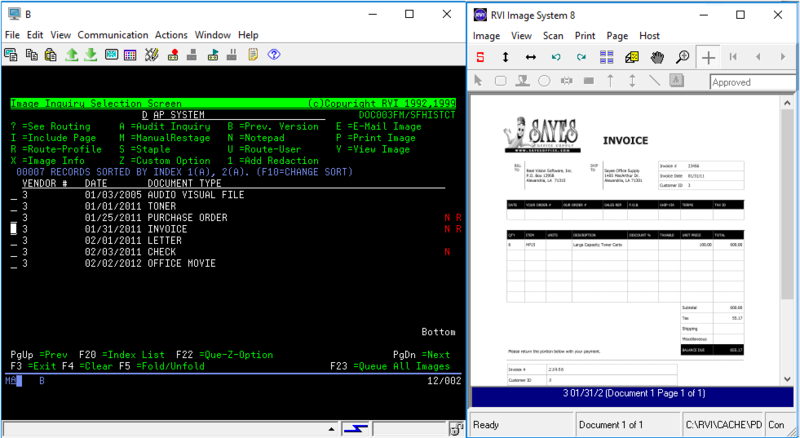 This legacy of the RVI system was originally designed exclusively for the IBM AS/400 and has been available since 1992. It can interface with software applications running in a green-screen, web or PC environment. The RVI Complete system is a feature-rich toolkit equipped with everything necessary for most paperless office projects. You pay one price for unlimited users. The RVI Complete Imaging System is a powerful and robust imaging solution that incorporates all features of the two entry level systems plus, advanced imaging functions to satisfy a variety of business needs. Like the Spool File and Basic Systems, RVI Complete is easily integrated with any IBM i application, user friendly and scalable from a pilot program to an enterprise wide solution. ● Setup, maintenance, and search capability for 99 indexes per image Image system linking, image lookup, based on security, to an image system from a different image system. ● Search by wildcard, contains, includes or range. The RVI Express system includes all the same capabilities as the RVI Complete system, but is restricted to ten users. Companies are looking for a low cost imaging solution with a rapid ROI. The RVI Express solution is a full function, digital imaging system that has the ability to expand as needed. This affordable solution is a great way to get rid of paper and allow access to documents/reports immediately in the office or over the internet. 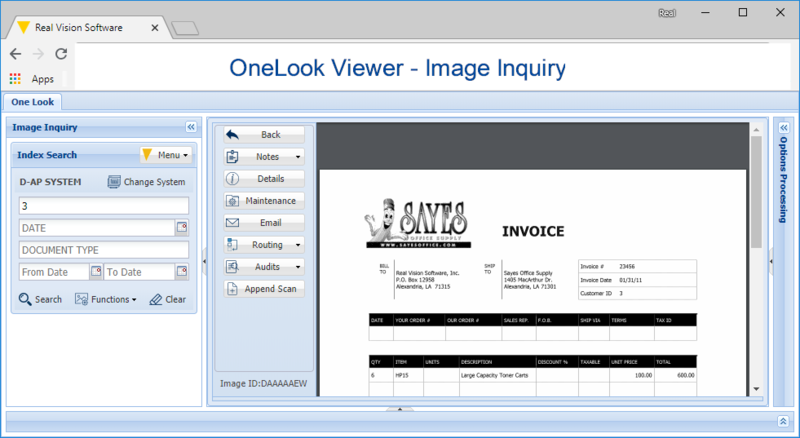 Start your imaging project with a single department or application and as the imaging needs expand, RVI “Express” can easily and cost effectively advance past the 10 user license to the unlimited user license. The RVI Spool File system specifically monitors / captures only data from your IBM i print output queues. The RVI Spool File System is an entry level imaging solution for IBM i spool file capture, storage and retrieval. 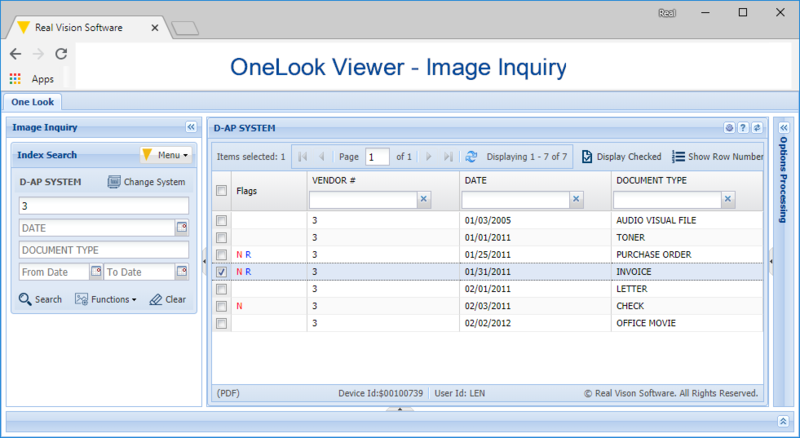 It eliminates the need for distributing multiple copies of printed reports and this system is fully upgradeable to the RVI Complete Imaging System. ● Supports viewing on any PC or terminal with access to the IBM i. The RVI Basic	system is a simplified capture solution for just imaging data (scanned or imported). The RVI Basic Imaging System is an entry level imaging solution for scanning, storing and retrieving black & white documents, color images and imported external documents. Commonly referred to as a Digital File Cabinet, it is fully upgradeable to the RVI Complete Imaging System.